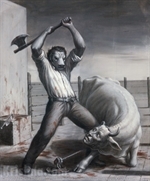 If one uses the above deliberation dramatised in the play Hamlet by opposing the present day slaughter houses which are employing cruel ways in rearing animals for food, one will be compelled to become vegetarian by exercising ones compassion for all animals being mistreated and killed and offered on a plate as murder. Compassion should be employed for all living beings and not just humans as is the practice since long. Sir Paul McCartney has exposed the cruelty of meat industry on www.meat.org. By seeing the clear evidence on the DVD, one feels ashamed to call oneself a human being. One does not need a lot of intelligence to realise the extreme cruelty employed by the industry for maximising profits and in the process sacrifice kindness. So, in the context of Shakespeare’s above stanza, the question in the noble mind really should be ‘To eat, or not to eat meat?’ There are so many angles one can answer this question. One of the qualities of a spiritual person is to be merciful. One should not deliberately cause pain to others. So clearly, killing animals for food fits in the category of cruelty. 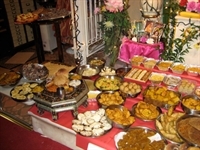 Therefore, if one is spiritually inclined, one should refrain from eating meat. One could argue that plants are living as well, so why eat them? It is a good question and deserves a valid answer. Taking the example of our bodies, there are parts of our bodies which are highly conscious i.e. highly sensitive to pain and yet there are other parts which are insensitive to pain. The obvious two are the hair and finger and toe nails. One can cut them and not feel pain as they are considered to have covered consciousness. Similarly, the fruits and vegetables fit in this category. By cutting or cooking vegetables pain is not experienced by them. One might present the argument that if an animal dies a natural death, can one eat their flesh. Fair enough, there is no pain involved, so one could consume it. However, is one prepared to risk ones health by eating flesh when one doesn’t know the cause of the animal’s death. From a health point of view, if one compares a fruit and a piece of meat, one would realise immediately the superiority of natural fruits. If one leaves an apple and a chicken leg on a table for a few days and then return to make a choice, would one feel safe picking up the chicken leg and eating it or feel safe with the apple. The obvious answer would be the apple. Nature has a way to preserve natural food contributing to our good health. If one looks from regeneration point of view, after eating the apple if one throws the apple core unto the ground, eventually an apple plant would grow from the apple seeds. However, that won’t be the case after finishing a chicken leg and throwing it on the ground as nothing will grow from it. From a farming point of view, by farming fruits, vegetables and grains the farmers can feed more of the world population as opposed to producing meat. Already, there are predictions by the food experts that in decades to come majority of the world would be forced to become vegetarians in order to survive. Check out the footage on the internet, ‘Scientists say the world must become vegetarian.’ In forty years time the world population will increase by two billion. To grow grains for cultivating animals for meat takes five times more consumption of water than offering those grains straight to the humans. The planet’s sweet water is in short supply already and millions are starving presently and this problem would become acute progressively unless the world becomes vegetarian. These days more and more vegetarian restaurants are opening throughout the world to attract customers who are health conscious and also others who are becoming vegetarians due to spiritual reasons. So no one should complain that if they become vegetarian what would they eat. There are many great recipes for vegetarian cuisine these days that each day one could have different dishes everyday without repeating a recipe for weeks. 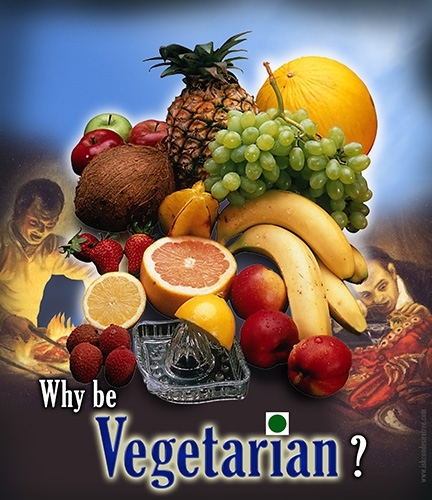 It is not sufficient to become a vegetarian because that might not be a karma-free diet. 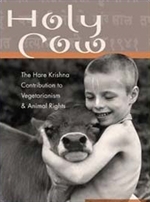 Karma means a resultant reaction of our actions such as consuming even vegetables. So for a karma-free diet, one must cook the vegetables with love and then offer it to Lord Krishna first and then honour that offering. That in Sanskrit is called ‘Prashaadam’ meaning that which gives long life. 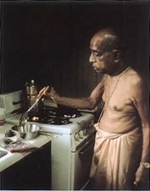 So when you offer the vegetable preparation to Lord Krishna, the Lord will consume your Karma which was incurred whilst preparing and cooking the vegetables. 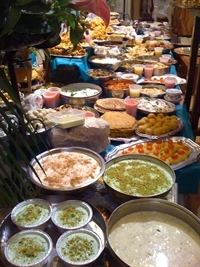 One offers to the Lord what he has recommended as fruit, vegetables, etc. Fruits and vegetables are considered foods in the mode of goodness which are conducive for our spiritual growth, the main purpose of our human birth.